A highly ornamental 340mm high pewter pineapple table lamp with a weighty tapered circular base and matching finish lamp holder. 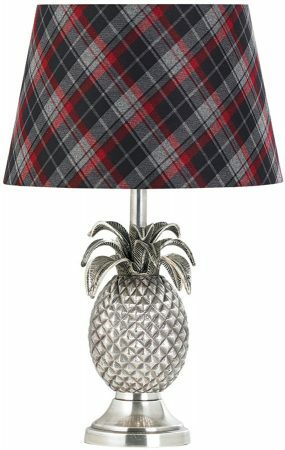 This perfect pewter pineapple table lamp is shown paired with a 12-inch diameter shade for illustration purposes only and must ordered separately if required. From our large table lighting range.